As Galena Mining (ASX:G1A) prepares for production at its Abra project, the company is predicting that the asset will become the fifth- or sixth-largest lead producer in the world. Located in the Gascoyne region of Western Australia, a scoping study released last week shows that the project’s initial mine life sits at 11 years with opportunities for extension down the road. According to Galena, Abra’s annual throughput will be 1 million tonnes annually with average grades of 9.7 percent lead and 15 g/t silver. Yearly production is set to come in at 91,000 tonnes of lead and 450,000 ounces of silver. Galena considers Abra to be a “strongly cash generative operation” as market conditions for lead have seen strong upward movement. While the commodity has had an average price of US$0.97 a pound for the last 10 years, the average price rose to US$1.14 in June 2018. Meanwhile, Abra’s average life-of-mine cash costs are US$0.46 per pound, and its all-in sustaining costs are set at US$0.56 per pound. The pre-production capital estimate for Abra resides at around AU$153 million with a payback period of 18 months. Galena estimates Abra’s average life-of-mine revenues will hit AU$251 million per year, with net cashflow from the third year of mine life onwards being close to AU$103 million per year. Construction of the mine’s processing facility, which is set to cost AU$66 million, is scheduled to start in Q2 2020, with a 15-month window for commissioning. Initial material is expected to be mined in the first quarter of 2021. The company’s next steps include completing a prefeasibility study in September, further infill drilling to convert inferred resource material to indicated later this year and obtaining contract terms for lead concentrate from potential buyers. 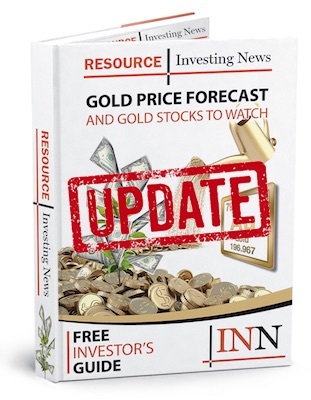 Galena’s share price was at AU$0.17 as of 2:42 p.m. EST on Wednesday (July 4).